Some love dogs but hate alligators such as Reggie, who was set loose in a Los Angeles Park several years back, creating a media sensation. Others are cat fans, but can’t stand mountain lions roaming in their yards and neighborhoods. 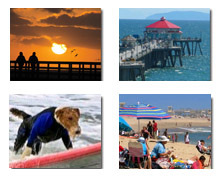 This happens all too frequently in cities such as Los Angeles which straddles the Santa Monica mountains in some areas. At the annual Blessing of the Animals in Los Angeles on April 20, 2019, you’ll probably not see a mountain lion, though there have been some unusual pets showing up with their owners to be blessed. According to Archbishop Gomez of the nation’s largest Catholic Archdiocese in Los Angeles, Easter is a blessed time. 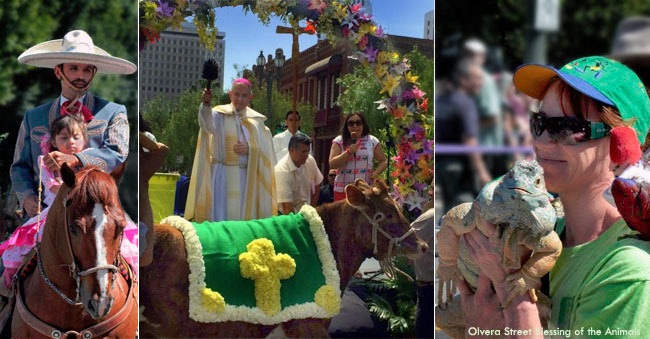 It’s a time in which he officiates the Blessing of the Animals at Olvera Street if his schedule permits. On the same day as El Pueblo blessing, Wild Fest, a new event in San Pedro region of Los Angeles, also holds a Blessing of the Animals, plus a Pet Parade in Friendship Park & Nature Center, 1805 W. 9th Street.